Bitcoin has firmly entered the mainstream news agenda in 2018 following the astronomical price rises seen in December 2017. While prices may have sunk back from the highs of $20,000, there is no doubt that “mining” Bitcoin has become an extremely lucrative business. The downside? Mining Bitcoin is incredibly computationally intensive – and will only get more so as time goes on due to the nature of how the Bitcoin system is constructed. 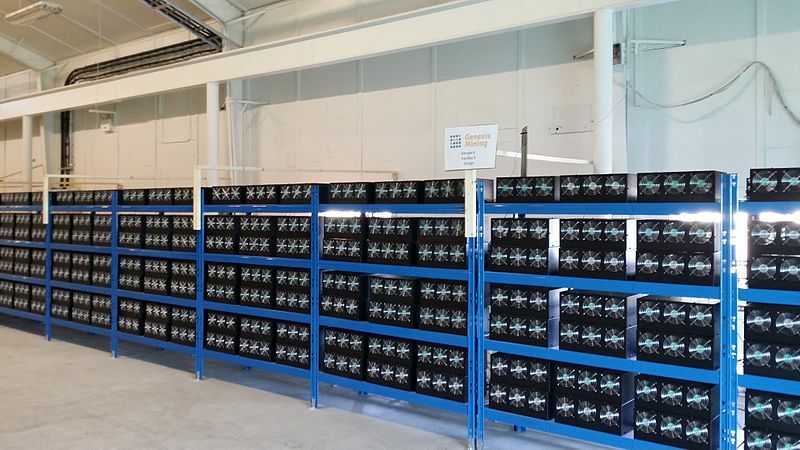 Not only does that mean there are significant cost barriers to anyone wanting to start their own mining operation, it also means it is a very power hungry exercise. Various estimates have claimed that Bitcoin mining uses anything from 1-4 gigawatts, or a billion watts of electricity (roughly the output of between one and three nuclear reactors), to potentially consuming “all of the world’s energy by 2020”. While that leaves quite a wide margin for error, even at the low end of the spectrum these are phenomenally high power demands. Of course, that means there are potentially significant environmental implications of Bitcoin mining. But it also has implications for the ‘miners’ themselves and their computer hardware. These exceptionally high power usages also mean that a huge amount of heat is being generated by this hardware. As such, this heat needs to be dissipated properly or there are significant risks that the expensive equipment will slow down or fail altogether. Given the high costs already involved in Bitcoin mining, and the frequent fluctuation of the currency itself, such downtime could prove disastrous for those looking to make their fortune in the Bitcoin mining business. But what if you could optimize the hardware to be both more environmentally friendly and more reliable when put under massive computational loads. This is a great example of where modern thermal simulation tools like 6SigmaET are playing a far bigger role in optimizing device design – rather than just being an afterthought at the end of the design flow. By using thermal simulation early in the design phase not only can rigs be designed to be more thermally efficient in the first place. At the same time, designers can also increase the efficiency of cooling systems to both minimize the environmental impact of rigs, and keep machines working at peak performance for longer – avoiding system failures and the need for expensive replacement parts. By improving thermal management, bitcoin mining can become more reliable, more cost-effective and (slightly) more environmentally friendly. While we may not see the average person adopting Bitcoin for a very long time, such considerations are slowly helping to bring the current trend closer to a functional reality.